This modification adds the ability to supply cool, heat or a combination of both for the front and back cabin areas. Even thought I will have air conditioning available, there will be a conditions where I will want to use fresh air for cooling. The kit version on the RV10 is heat only available at both locations. 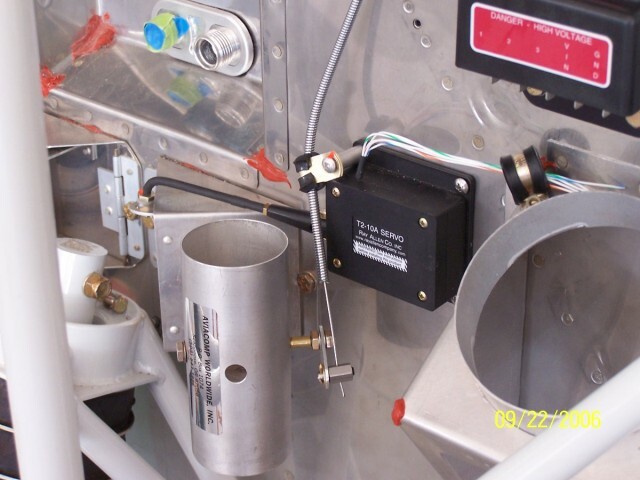 The heat controls will be electrically operated. The first step was to modify the heat/cool mixer valve available from Vans. 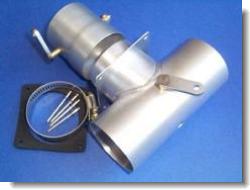 Part number VENT AIR MIXER CHV-1. I only used the "T" assembly. The mounting flange is a very soft aluminum plate welded in four places. The plate was trimmed off then the welds were ground down. I took the modified "T" to the local muffler shop and had them expand the center tube to allow it to fit over the 2" tube on the supplied heat valve from Vans. The heat/cool mixer valves were mounted vertically. 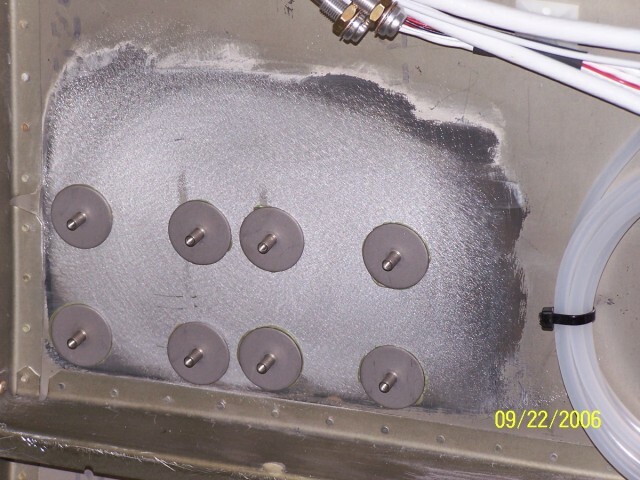 The duct from the heat muff attaches to the bottom of the assembly. 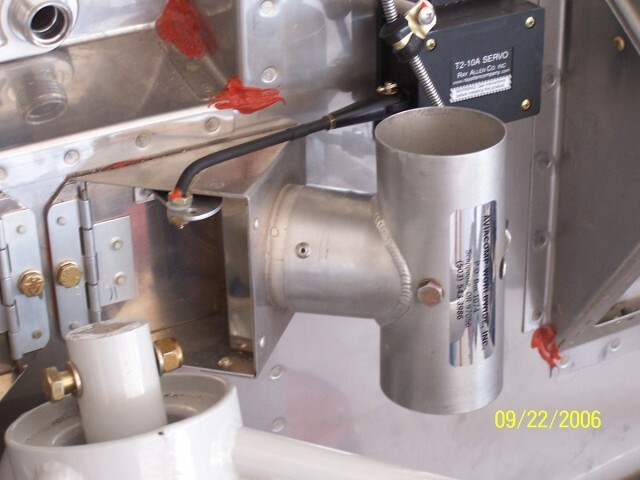 The cool air supply comes from the flanged hole on the back baffle and attaches to the top of the "T" assembly. 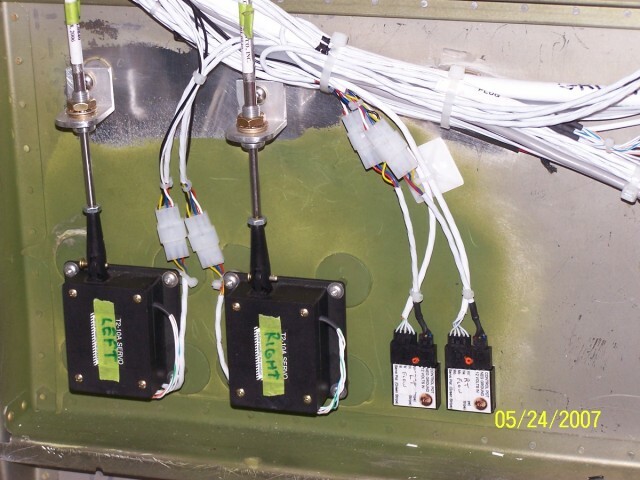 The servos shown on the firewall, are controlling the flow valves. The cables control the heat/cool mixer valves. 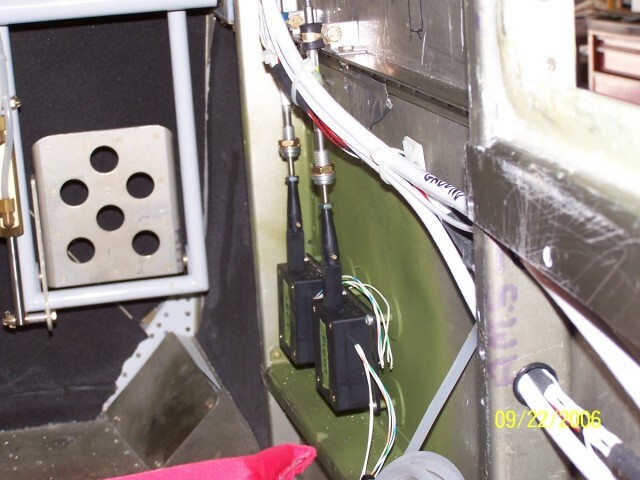 The cables are operated by servos mounted on the right side kick panel. The servo controllers are available from Perihelion Design. 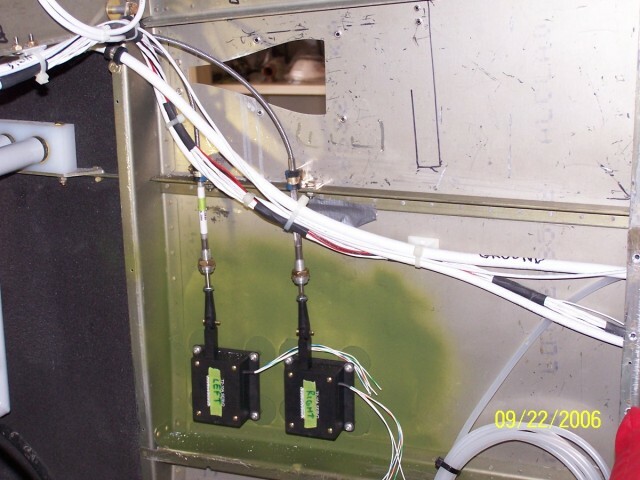 The controllers allow you to set the servo positions by using an electric potentiometer. This is similar to the heat and fan controls in your car. The Flight Shop sells the Click Bond fasteners used to mount the servos. I used these same fasteners to mount the fuse panels. This attachment method does not involve rivet or screw mounting plates to the outside skin. The fasteners are a 1/2" 6-32 internal threaded stud. The Click Bond adhesive is used to attach the studs. To provide the alignment necessary for the servo position, I attached the studs to the servo then bond the studs and servo in place. 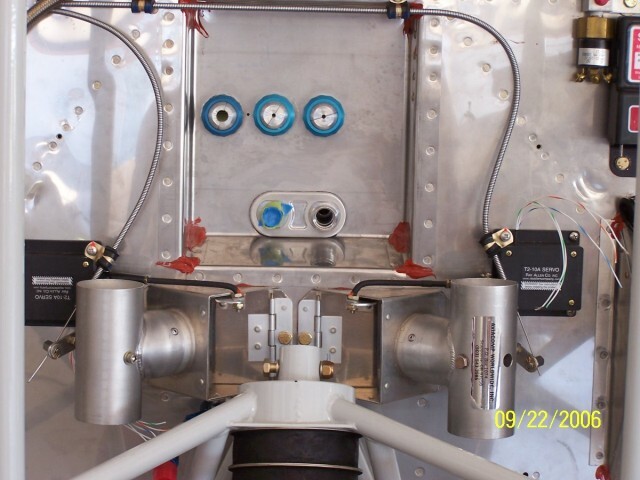 A cardboard cutout was use to hold the servos in place until the adhesive cured.